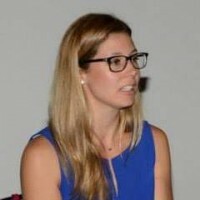 Maude Marquis-Bissonnette is a PhD student in the School of Public Policy and Administration (SPPA), commencing in September 2014. Her research interests are mostly about urban governance. She developed an area of expertise in performance-based management at the municipal level, public transit, regional and metropolitan development, mobilization of local stakeholders and smart cities. Her recent work also includes university governance, religious minorities from a public administration point of view and women’s leadership. Maude is currently involved in the Centre for Urban Research and Education (CURE). Maude holds a Master’s degree from l’École nationale d’administration publique (ÉNAP) from Montréal and a B.Sc in political science from l’Université de Montréal. She worked as a strategic planner at the regional level but also counts many mandates with public organizations as a consultant. In 2013, Maude won the National Student Award, a joint initiative of the Institute of Public Administration of Canada (IPAC) and the Canadian Association of Programs in Public Administration (CAPPA). She also counts other awards in the past years.